61st Annual Black Hills Stock Show® Agri-Business of the Year Honoree for Banquet & Ball, KBHB Radio. Pictured, l-r: Marguerite Kleven, Dean Kinney and Dana Caldwell. Daily livestock reports, Ronnie Milsap, breaking news and national headlines can all be found in one place:  810AM also known as The Big 81. KBHB has been on the air since 1962 and still serves South Dakota as the only farm and ranch station in the state of South Dakota. 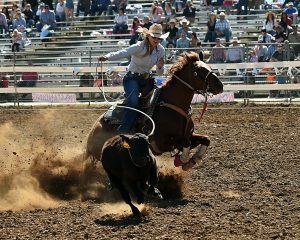 This year, they are honored as Agribusiness of the Year during the Black Hills Stock Show. Started by legendary South Dakota Broadcaster, Les Kleven and his wife Marguerite, KBHB has been a staple station in Sturgis since day one on the radio waves. According to news director Gary Matthews, KBHB has always been a farm and ranch station, and today, the content isn’t much different than it was more than 50 years ago. According to Matthews, producers from South Dakota, North Dakota, Wyoming, Montana and the Nebraska Panhandle advertise on KBHB. While the station is a staple of the Black Hills, it serves producers across the Western Plains. Not only does KBHB air the farm reports, listeners can expect local and world news at the top of the hour and breaking news as it happens. Matthews recalls reporting on the 2013 winter storm called Atlas. KBHB joined the South Dakota Stockgrowers Association to help producers during that time. Reporting on breaking news and running radiothons to raise money are two things KBHB has been doing for years. In 50-some years of broadcasting, the station hasn’t changed much, maybe partly because it has only had three general managers in that time. Operated by Les Kleven until 1989 and then by Dana Caldwell until 2001 and finally by Dean Kinney from 2001 to today. The changes in location and management haven’t swayed the station from its content or delivery of news. Matthews says the introduction of social media has only been a tool to KBHB in recent years. Through Facebook Live they are able to deliver breaking news and weather updates, a bigger audience is drawn to the KBHB Radio Auction through Facebook pages and the idea is to drive traffic to the radio. Matthews says the social platform has also been beneficial in the advertising part of the company as well, helping to deliver packages to ranches and sale barns who advertise with KBHB. “The future looks really bright,” said Matthews. While the content and structure of the station hasn’t changed, neither has the weekly KBHB Auction. Some call it the longest running radio promotion in South Dakota, as it started more than 35 years ago. Each Saturday listeners can bid on and buy identical songs that merchants have traded the station for advertising. The connection and support that KBHB offers local producers, and that producers offer KBHB is the backbone of the business. Today, nearly 20 people are employed at KBHB, continuing the farm and ranch radio tradition. 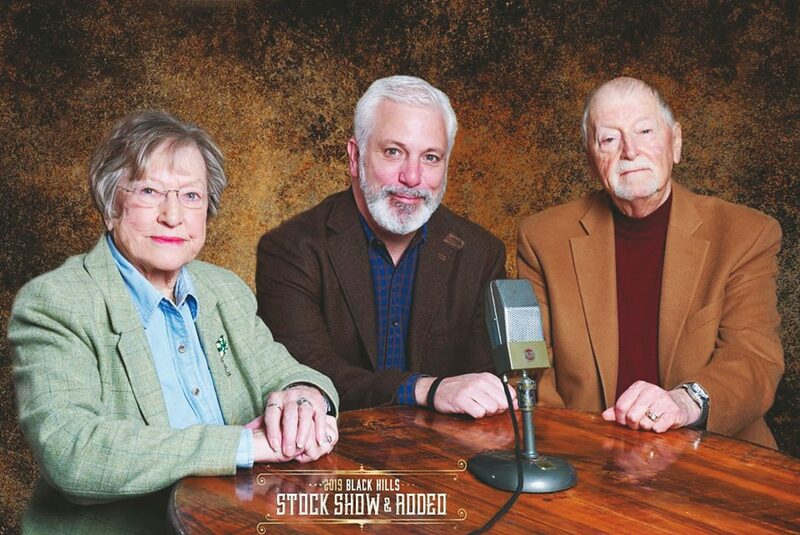 The station will be honored during the Black Hills Stock Show at the Stockman’s Banquet and Ball on January 26 at the Ramkota hotel. Marguerite Kleven, who is still a resident of Sturgis, is expected to attend the event as well. KBHB is a member of the Homeslice Media Group and can be found at 810 on the AM dial.